Rhino is known for its powerful capabilities to model any 3D freeform shape with total precision. That makes it possible to send models to laser cutters, milling machines or 3D printers. 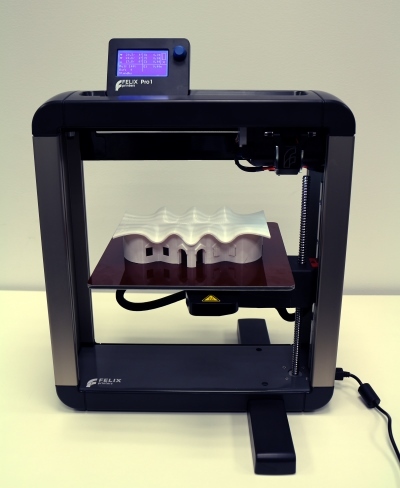 The 3D architectural models that include VisualARQ objects can also be sent to a 3D printer. The STL is the most used file format for 3D printing machines. Tips to convert an architectural model into a 3D printable model. Savanna3D is a collection of over 1000 detailed 3-D models in 3DM format. These models (which include furniture, fixtures, handrails, office equipment and more) are ready to be inserted into Rhino and VisualARQ to give you a head start. The complete Savanna 3D library is included in one of the VisualARQ purchase options but it can also be purchased individually. You can download a free demo here. Website where you can find all kind of Rhino plug-ins, Grasshopper add-ons, VisualARQ styles (read here how to upload and download new styles), materials, environments and textures. For designers who are exploring new shapes using generative algorithms, Grasshopper™ is a graphical algorithm editor tightly integrated with Rhino’s 3-D modeling tools. Unlike RhinoScript, Grasshopper requires no knowledge of programming or scripting, but still allows designers to build form generators from the simple to the awe-inspiring. Dynamic Display is a real-time display tool for Rhino that allows the user analyze models in several ways: Clash detection, Sectioning, Mirroring. Lands Design is a software for designing gardens, green spaces, and landscapes in Rhino. It provides tools for producing technical drawings in 2D and 3D of the green space to work with, and realistic images and virtual tours.Lands Design has a wide database with more than 1800 species, each one with their 2D and 3D realistic representation, their technical specifications and detailed characteristics. Lands Design includes tools to arrange trees, shrubs, parterres, etc. individually, in rows, forests, etc.. and also tools for easily modeling terrains in 3D. RhinoBIM is a suite of a number of plug-ins to enhance Rhino 5.0 for the Architectural, Engineering and Construction Industries. Developed by Virtual Build Technologies LLC. The first modules now available are called RhinoBIM Structure, for 3D structure modeling, Clash & Clear Analysis, FEM Analysis, BIM Reporter and translators. PanelingTools plugin helps generate 2D and 3D cellular patterns and populate them over rectangular grids. 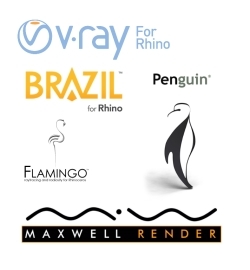 Iris is a plugin to export Rhino models to the Web. A fast and easy way for Rhino users to distribute their designs with the least amount of dependencies possible. Conversion of as many Rhino Object Types and Features as possible in a static scene.